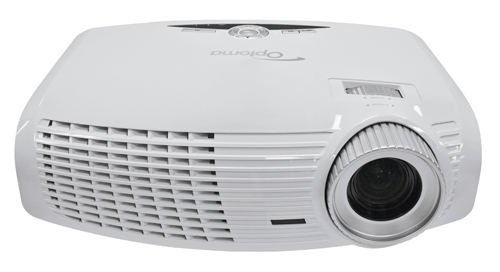 The HD20 is a 1080p DLP job, with a 4000:1 contrast ratio, capable of making an image up to 120″ diagonally. That’s a lot of inches! 1700 ANSI lumens makes it bright enough to use during the day, and it’s got many inputs: VGA, component, composite, and two HDMI. It hasn’t shown up yet on Optoma’s projector site, but I’m sure they’ll fix that right soon.